This is the first article in a series focused on the health effects associated with gentrification in Washington, D.C. This series is supported through a journalism fellowship with the Center for Health Journalism at the Annenberg School of Journalism at the University of Southern California. By many measures, the revitalization of neighborhoods across Washington, D.C. has been a windfall for the city. Fueled by higher tax revenues and property values, the city is awash in construction cranes, new libraries, restaurants and retail, and more than 70 miles of bike lanes—all welcomed signs of gentrification in the nation’s capital. Williams said that she developed diabetes a year after she and fellow residents were displaced, for eight years, from their 54-unit garden-style apartment complex at 7th and Q Streets in the Shaw neighborhood. She has since returned. Now, there’s a new apartment building at 7th and Q named Jefferson Marketplace; an upscale pet store, a Thai restaurant and a French wine bar are located on the street level; Williams said that she’s not the same, either. According to the Centers for Disease Control and Prevention, the displacement associated with gentrification has many health implications that contribute to disparities among special populations, including the poor, women, children, the elderly, and members of racial/ethnic minority groups. In the mid-90s, according to Census data, the district had a population of 528,000 and by 2015, the population had climbed to 681,170. Washington has seen a net population gain of more than 70,000 people since the 2010 Census and more than 100,000 residents since the 2000 Census. In the mid-1990s, the city boasted a 72 percent Black population and in 2016, according to the Census, it now stands at 48 percent. To the chagrin of the city’s Black residents, “The Chocolate City,” has become a vanilla swirl, replete with dog parks, street cars, bike lanes and cobbled streets as physical evidence of the changing demographics. Washington, D.C is one of the most expensive cities to live in anywhere in the United States. Million-dollar homes are commonplace in areas of the city like Kalorama and Congress Heights and it’s fairly certain that buyers would have to ante up hundreds of thousands for a home, apartment or townhouse. In 2015, the median household income in Washington, D.C. was $75,628, a 5.55 percent growth from the previous year. Statistics from the U.S. Census, a combination of studies conducted and compiled by researchers at Georgetown University and an investigative series centering on gentrification by the nonprofit, independent news organization Truthout, estimates that more than 50,000 D.C. residents have fled the city, as housing costs spiraled out of reach. Washington has the second highest rents in the country and more than 50 percent of the city’s affordable housing stock has vanished since 2009. 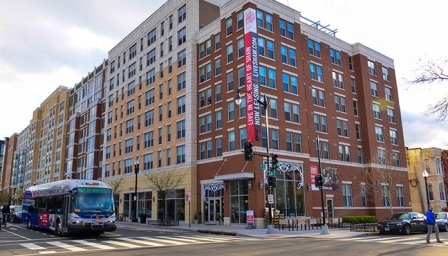 Maurice Jackson, a history professor at Georgetown University and the chairman of the DC Commission on African American Affairs and Christopher King, an assistant professor at the university’s School of Nursing and Health Studies (NHS), produced a report in 2016 that found that gentrification has had a major impact on the health and welfare of the city’s African American population. Gentrification in Washington has produced tension and lingering resentment between Black and White residents—old and new. Long-time residents have complained about newcomers who have lobbied to change the names of old neighborhoods, called the police to harass families sitting on their own stoops, and pushed city officials to ramp up parking enforcement, ticketing and towing churchgoers double-parked on Sundays—a custom in D.C. that has spanned generations. The stress and trauma associated with the city’s very real demographic and cultural shifts, not only affect where people live, but also how Washingtonians are living. One area of particular concern to researchers and those in the medical community is the relationship between toxic stress and displacement. Experts like Amani Nuru-Jeter, a social epidemiologist at the University of California at Berkeley are studying the impact of stress on health disparities and outcomes. While Nuru-Jeter, Dr. Roberto Montenegro and other researchers are looking at the effects of racism and discrimination on the bodies of Blacks and Latinos, others are tying displacement to toxic stress, which many believe, is likely a precursor to a range of diseases that could afflict those who are being pushed out of the city or have already left. Studies have connected a number of maladies to toxic stress, such as mental illness, substance abuse and behavioral problems, cancer, obesity, diabetes, auto-immune diseases, asthma, high blood pressure and heart disease, kidney disease, and gastro-intestinal problems. Detrice Belt, a 33-year-old native Washingtonian and resident of Barry Farm, a public housing complex in Southeast, Washington, D.C. has been engaged in a six-year battle to stay in the community where she has lived for 20 years. She lives with her nine-year-old daughter, two pit bull terriers and a turtle. Belt vowed that she’s not leaving. Barry Farm, located east of the Anacostia River—a natural divider between the city’s visible progress and neighborhoods of concentrated poverty—has been targeted by the DC Housing Authority and developers who seek to have the 432 public housing units demolished; in its place, developers want to build a 1,400-unit, multi-phase $400 million mixed-income housing. The plan is part of the city’s New Communities Initiative, a public-private urban revitalization partnership modeled after the federal government’s Hope VI program. 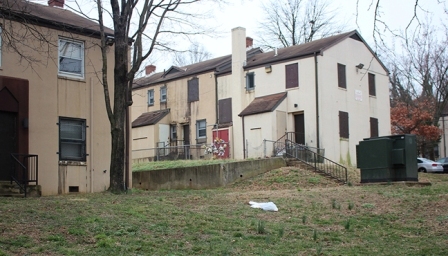 According to the Washington City Paper, in 2017, a group of Barry Farm residents and housing advocacy organization, Empower D.C., filed a 65-page, class-action lawsuit against the DC Housing Authority (DCHA), which manages the property, as well as its two private developer partners, A&R Development Corp. and nonprofit Preservation of Affordable Housing Inc.
Belt said that one of her great fears is that neither the DC Housing Authority nor the developers have given the remaining residents a written guarantee that they can return when the property is redeveloped. And the past is prologue, she said, because once public housing residents are displaced, few ever return. Belt said that her ordeal has left her and other Barry Farm residents stressed out, worried and fearful of what the future holds.